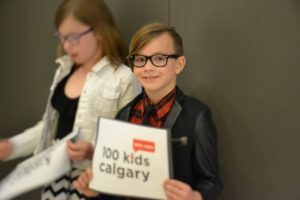 Blog | 100 Kids Calgary | Inspiring the next generation to GIVE! This was our first event for 2017 and we were blessed to have Silver Springs Golf & Country Club to host our event. They were kind enough to provide a beverage station for all ages including water, pop, coffee and tea and it was enjoyed by all. Jacob did a great job explaining that the Flames Foundation is committed to supporting education, health and wellness, and amateur and grassroots sports. They have a lot of initiatives but Jacob decided to focus on some of the smaller ones like their reading programs that encourage and motivate kids to read as well as the Even Strength program that helps kids and families who can’t afford the cost of hockey registration. This helps all kids get to play the sports they love. Hadley & Emerson are sisters and Emerson has actually spoke about this charity before at one of our previous events. Their mom volunteers for the charity and they have also been a foster home for a few of the dogs. Fur-ever Homes believes that every dog deserves a second chance and they rescue local dogs as well as those from Mexico and LA. We actually only had 2 charities initially as sickness and last minute commitments led to the other nominating members not being able to attend. So we decided to do something we’ve never done before and opened it up to all that were at the event and asked if anyone would be willing to come up and speak about their favourite charity. 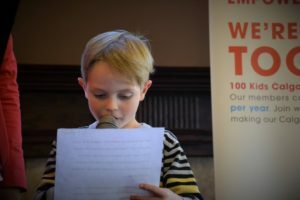 There was a bit of hesitation by all but then one very courageous 7 year old boy, Jack, decided he would get up and speak. We were so proud of Jack as it was his very first event as a brand new member! Jack and his family are some of the helping hands of this organization that helps provide essentials and support to mothers with young children who are facing tough times. It is all volunteer run, last year 735 families were helped and the need continues to grow. Made by Momma takes stress away from moms during tough times. They provide baby essentials (diapers, wipes, formula, clothes, cribs, carseats etc.) as well as meals and just general help around the house to those families that need it. The kid members casted their votes and while the votes were being counted we did the door prize draws. The time around we had 3 – $15 Indigo Gift Cards. We love being able to reward some of the members that attend the events and they all thoroughly enjoy winning. This was our closet vote to date where each charity was only separated by one vote!!! The winner of the group donation was Calgary Flames Foundation. We were able to collect a $300 donation at the actual event but we are really hoping that our registered members will help us to GROW this donation. We would love for your to show your support by e-transfering money to the email danielle.donovan@me.com or mailing your donation to 182 Crestmont Dr SW Calgary, AB T3B 0A1 or arranging a time with me to collect your donation. Please be sure to “like” our Facebook Page as we update events on there as well as share photos from the event. Thank you for believing in what we are doing! Our final event for 2016 was held back at the Valley Ridge Golf Course. We were so fortunate to have them host our first and last event of 2016. A special guest, Farley the Fox, the mascot of the Calgary Hitmen joined us for the event. He received a lot of love from our kid members and stayed for the whole event. We were so blessed to have Tanya Koshowski from Brown Bagging for Calgary’s Kids join us. 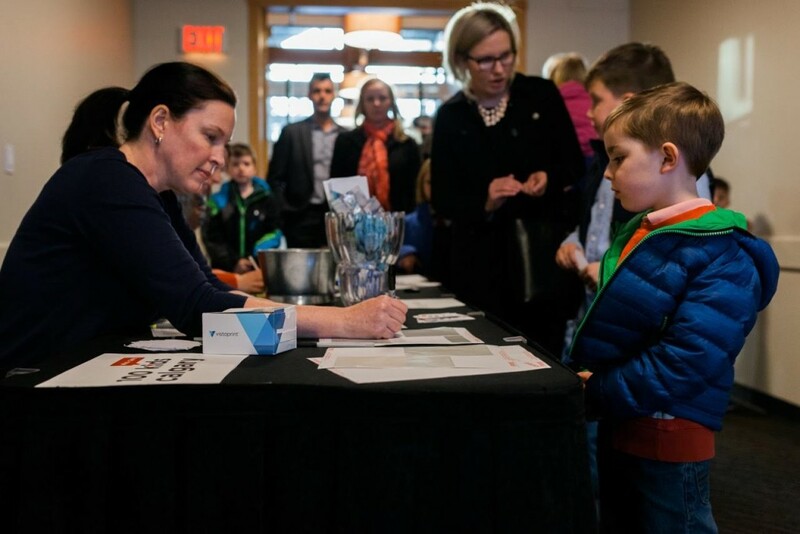 Tanya’s message was very personalized as she interacted with the kids, asking them questions and helping them to understand what an impact they made on hungry kids in Calgary. Every $1 raised actually provides 1 lunch for a hungry kid in our city, so 100 Kids Who Care Calgary was able to feed 1,225 kids, WOW! Thank you so much to Tanya for coming to share with us! 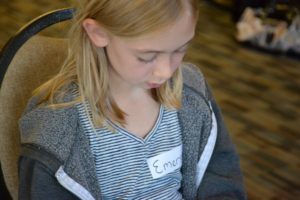 Children’s Wish Foundation – Leah & Jemma Barnard spoke. Leah is 9 years old and Jemma is 8 years old. Thank you for being so brave to come up and share with us, its not easy to be called on first, especially when it was your very first meeting! Children’s Wish Foundation has been making wishes happen for 30 years for children between the ages of 3-17 that have been diagnosed with a life-threatening illness. They have never had to say “no” to a wish and the wishes range from family vacations to meeting princesses, favourite musicians and super-heros! Ronald McDonald House – Zach Donovan spoke. 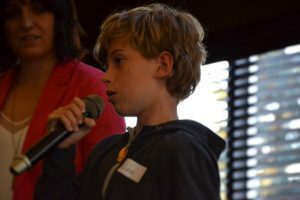 Zach is 9 years old and after attending all previous meetings he got up the courage to nominate a charity and speak. Ronald McDonald House helps provide a home to out of town families that have a sick child being cared for by the Alberta Children’s Hospital. The average stay for a family is 50 nights and one family had to stay 621 nights. Opening Gaits Therapeutic Horse Riding – Sloane & Felix Powers spoke. Sloane is 9 years old and Felix is & years old. It was great to see Sloane speak and have her brother up there with her for support. That is what this group of kids is all about. Opening Gaits’ mission is to provide children and adults with disabilities the opportunity to experience all the physical, social, and emotional benefits of riding on and spending time with a horse. This charity and their horses make a huge impact in the lives of their riders from providing them confidence and happiness to helping them gain physical strength. 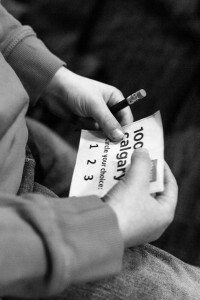 After the three speakers were done the kid members took out their voting ballots to make their decision. While we tallied up the votes we did a draw for door prizes for the kids…this time we had cineplex gift cards and a special North Pole Ninja book with missions. The winner of the group donation was Ronald McDonald House and we were able to give them $570, but it didn’t stop there! When we went to give the donation we were told that Shaw Communications actually matches all youth donations to the Ronald McDonald House!! So our impact ended up being $1140!!! We love special surprises like that! 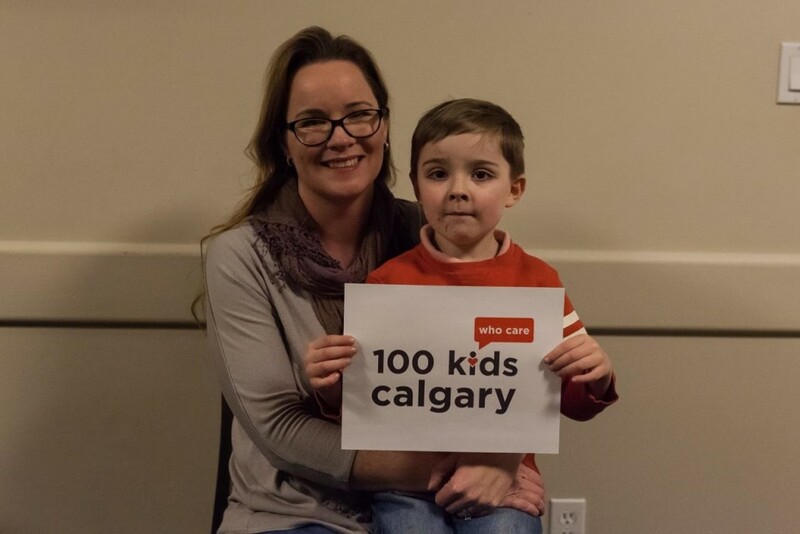 100 Kids Who Care Calgary has made a HUGE impact to our community in 2016. We were actually able to give $4,315 to 4 different local charities. Thank you for believing in what we are doing and for making our first year an amazing success. Our plan is to continue to grow our impact in 2017! Mark your calendars for our next event Thursday, March 2 at Silver Springs Golf & Country Club, we hope to see you all there! It was so great to see familiar faces at our second event and of course some new ones as well. We only had about 50 kids at this event, however it was amazing to see how many kids sent their $10 with family and/or friends even though they couldn’t attend. We were so fortunate to have Telus Spark’s Inspiration Stage as our venue. 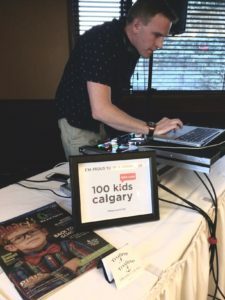 We had a few special guests at this event, including Rae Fehr from the Calgary Humane Society, Janica Fisher & Marnie Worbets from BeHiP (Humanity in Practice), and Tyler Middleton from Calgary’s radio station X92.9. Rae thanked the kids very much for their generous donation. He talked to the kids about the Calgary Humane Society and all the work that they do as well as where funds raised would be used within their organization. Janica and Marnie shared what HIP is all about. They connect people to causes and allow all ages the opportunity to make a difference. 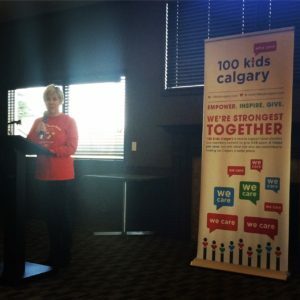 And that is exactly what 100 Kids Who Care Calgary did! We are thrilled to say that as a group we collected 105 books at our event that went to support Calgary Reads and provided books to those families in Calgary that don’t have many in their homes. Tyler Middleton spoke to all the kids just before the charity presentations were to begin to give them some tips and tricks on public speaking and conquering the fear of standing in front of a crowd. Tyler’s tips were well received by the kids. 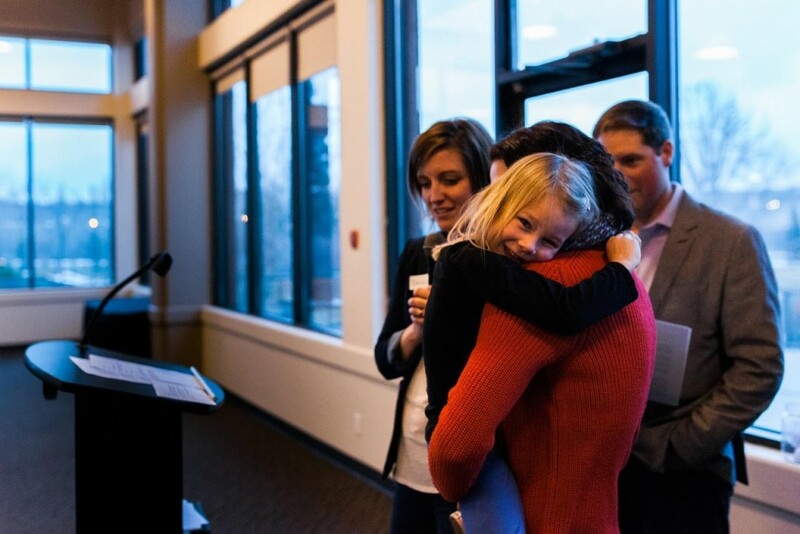 Marigold is “Little Miss Calgary 2016” and she is involved in a lot of volunteering already at the age of 6. 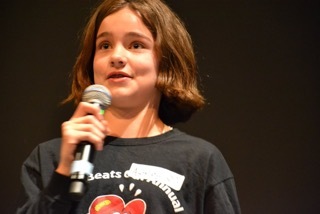 Marigold stood up in front of the crowd and did a great job sharing about her charity of choice. Junior League of Calgary is an organization of women committed to promoting voluntarism, developing the potential of women, and improving the community through the effective action and leadership of trained volunteers. Ashely (10yrs) and Paige (11yrs) took turns speaking about the charity and did a great job together. There speech was heartfelt and personal as Ashley’s sister was born with Congenital Heart Disease and her family benefited from the support of Heart Beats. 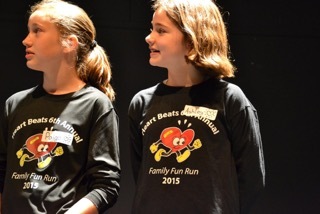 (her sister is now 8 and doing great) Heart Beats offers information, resources and emotional support to families dealing with congenital heart disease. Every child with CHD has to travel to the Stollery Hospital in Edmonton for their cardiac surgery(s). 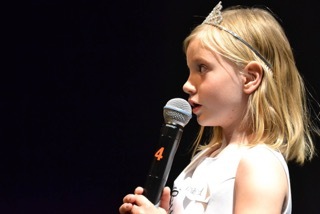 Ashley is 8 years old and she did a fantastic job representing her charity of choice. 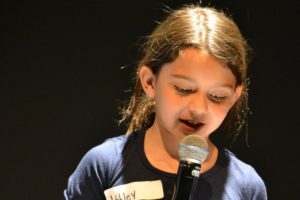 Ashely is a true ambassador for BB4CK and her goal is that no kid goes without a lunch. Brown Bagging for Calgary’s Kids supplies around 3000 lunches per school day to kids in our city who wouldn’t otherwise have a lunch to eat. After the 3 presentations the kids took our their voting ballots, it was another tough choice. Once the votes were tallied Heart Beats received the majority of the votes and they will be the recipients of the kid’s donation. Our kids were able to raise $800 in less than one hour!! We were able to give out some door prizes again at the event, so thank you so much to the parents that made those donations possible. We would also like to send out a huge thank you to all of our volunteers that evening, we couldn’t do it without you. Our next meeting will be held on Wednesday, October 12 at the Elbow Springs Golf Club. 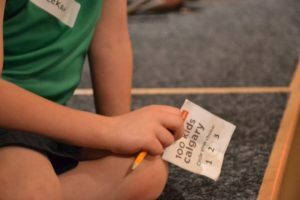 The Members of 100 Kids Who Care Calgary totally stepped up at our very first event and made a huge impact in our community! 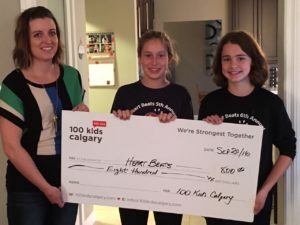 Click the link to read all about what Co-founder, Danielle Donovan, had to say as well as Carrie Fritz from the Calgary Humane Society who received the kids group donation. Our inaugural meeting couldn’t have gone any better. It exceeded all my expectations and it filled my heart with so much love and pride! We had approximately 90 kids present at the event and many more members who sent their money with friends or family, which was very impressive. The group of kids were amazing, very respectful and full of enthusiasm for what we are doing. 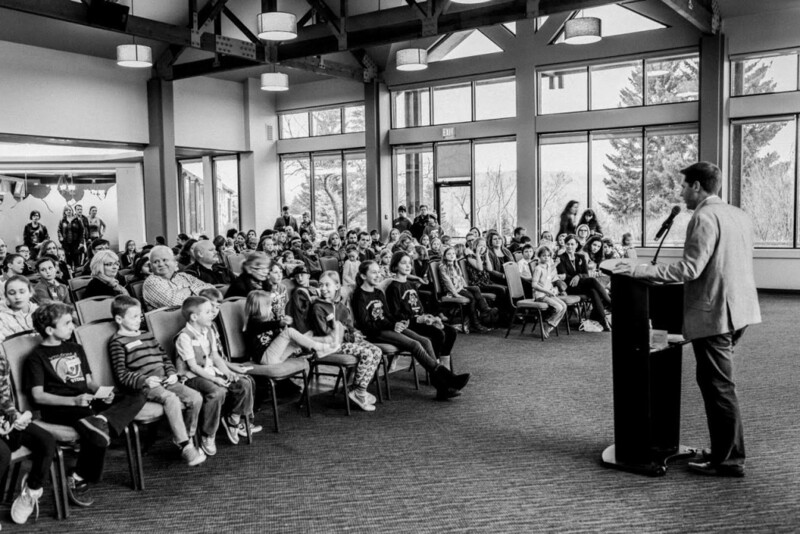 The Valley Ridge Golf Course was a spectacular venue, Christopher Cool entertained the kids with his wonderful magic show and I Love Craft & Sweet provided delicious cupcake treats for all the tiny bellies in the room. 1. KidSport – Callie Cardiff spoke for this charity. 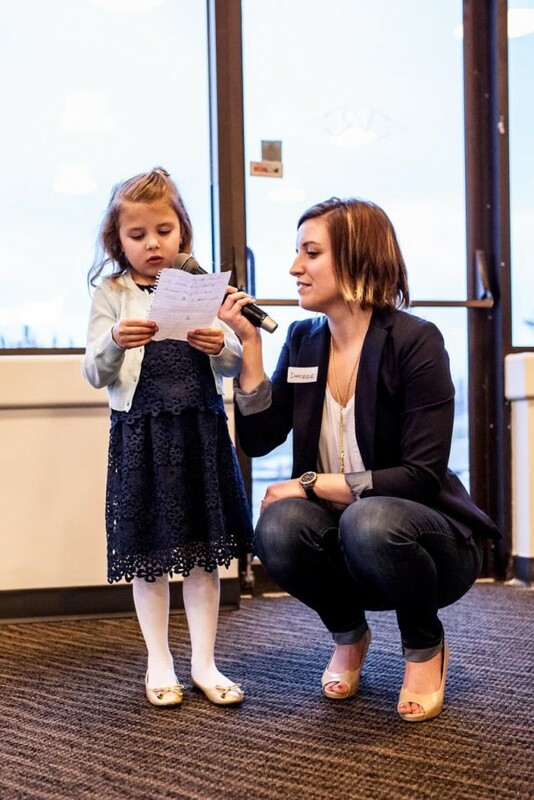 Callie, being one of our youngest members (5yrs) did a great job, we are all so proud of her for stepping up to the podium with her Mom and answering a few questions about her charity. KidSport believes that every child should have the opportunity to play organized sports and they make this happen through financial support as well as providing equipment etc. 2. 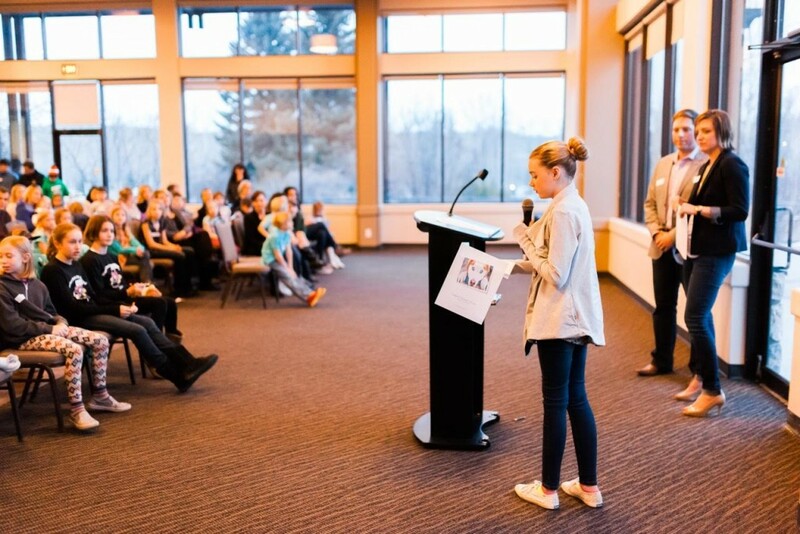 Calgary Humane Society – Olivia Harbourne spoke for this charity. Olivia is 12 years old and she came well prepared to the meeting. She spoke from the heart and shared her personal story of visiting the shelter and adopting a pet and what that meant to her. The Calgary Humane Society never say no and they never turn an animal away no matter what the circumstances are. Their mission is to help as many animals as possible and they feel that starts with educating people about being compassionate to animals. 3. 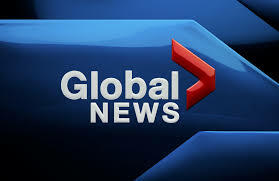 Feed the Hungry Calgary – Simona Sedgwick spoke for this charity. Simona is 7 years old and she was a little sweetheart who talked about feeding the homeless in our city. She told us that she always has a meal on the table and she wished everyone else had that as well. Feed the Hungry provides a sit down dinner each Sunday night for Calgary’s homeless and low income population at St. Mary’s Parish Hall. After the 3 presentations the kids took out their voting ballots. We could see their excitement in getting to make an important choice on their own, they all felt proud of that voting ballot. It ended in a very close vote but the Calgary Humane Society received the most votes and they will receive the kids group donation. We are looking forward to going to the shelter with Olivia to present them with the big cheque and our group donation. We will have photos to share with you after the official presentation. In less than 1 hour our great group of kids managed to raise $1,170 (we had a total of $1,110 at the event but have had a few more kids that couldn’t attend still want to make their donation). We will accept donations for 1 more week if there is anyone that still wants to contribute, please message me to make arrangements. 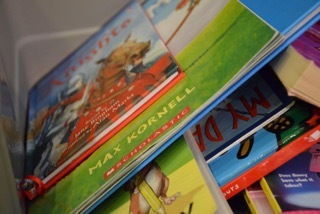 We were also fortunate enough to have a few door prizes and four lucky kids took home a $15 Chapters/Indigo card. We want to give a huge thank you to the volunteers who helped us make the event run smoothly. I am hoping to have our next meeting date and location confirmed this week so stay tuned for further details. We are looking at the end of May/beginning of June and then we will take the summer off and reconvene in September. 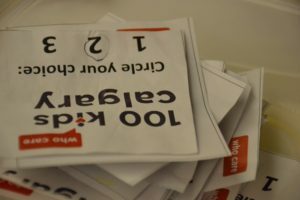 being a volunteer who can be called upon to help with registration, collecting/tallying the votes etc.